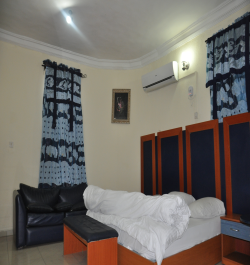 At vhelbherg Imperial Hotel, our rooms are tastefully furnished for your comfort and relaxation. On a business trip? Or vacation with the family? You would be glad you stayed with us. 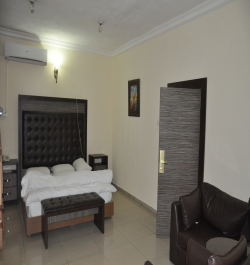 Vhelbherg Imperial Hotel has 50 luxuriantly furnished and air conditioned executive rooms, ideal for business and leisure travellers. Each room is equipped with sweet sleeper bed for ultimate comfort after a long day. High-speed WIFI access, LAN cable, a working desk and phone services ensure the business person is kept well connected throughout the stay with us. These 6 rooms offer an array of priviledges guaranteed to make you belong in the Vhelbherg Imperial Hotel. A large classically furnished master bedroom. The lounge offers access to high-speed internet (WIFI and LAN cable) and Television all day and night. Vhelbherg Imperial Hotel has 4 elegantly furnished and air conditioned executive suites, ideal for business and leisure travellers. 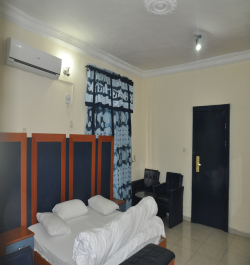 Each room is equipped with sweet sleeper bed for ultimate comfort after a long day. This masterpiece is comprised of a spacious master bedroom of elegant finishes with separate living room and mini bar, it also include area to work in for your convenience.